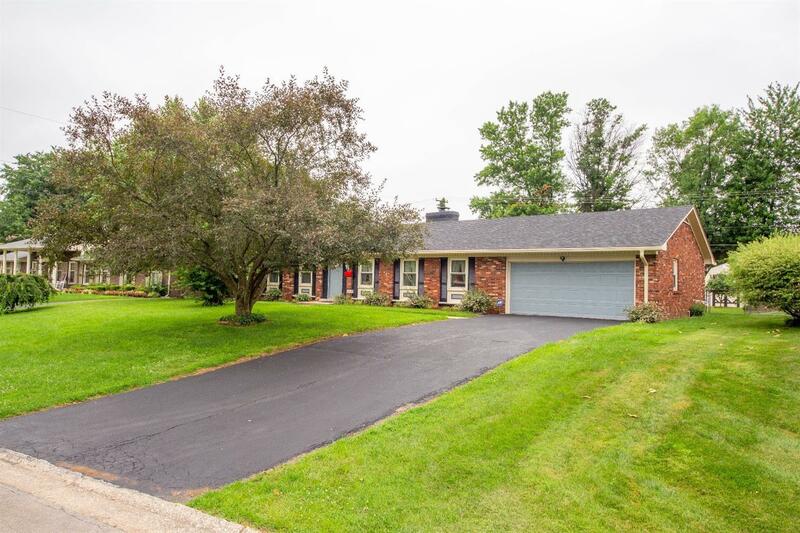 ***Click Virtual Media link to see VIDEO*** Classic Brick Ranch with an Enormous Yard! HUGE 2 car garage! 2 Fireplaces. Crawlspace Foundation. They just don't build them like this anymore, especially not in such a convenient location. 3 or 4 bedrooms. (4th bedroom was used by current owners as an office, and is at the opposite end of the house from the other 3 bedrooms. Could be perfect if privacy is desired.) Everything, including the laundry room, is on one level. Hardwood under a lot of the carpet. Storage building in back. Brand new roof and gutters. Huge Eat-in Kitchen. Lots of new paint. Clean as can be!